Mail Center Management & Office Services | The MCS Group, Inc. The mail center is the lifeline of any organization, providing document and electronic communication distribution to every department and branch. With such a high degree of importance to your organization’s success, you need a partner who can navigate through the complex mail center work flow. 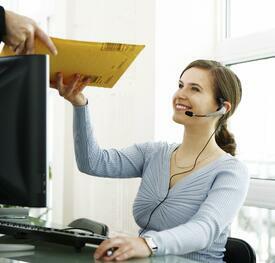 MCS can provide highly trained professionals who are experts in all aspects of mail center operations and processing. Backed by certified industry professionals, MCS is experienced in postal automation and regulations, mail services technology, digital mail centers and cost effective mailing solutions to make your business run more efficiently. MCS can design and implement a mail center management solution that uniquely supports your business. For more information, download our Mail Center Management & Office Services brochure.